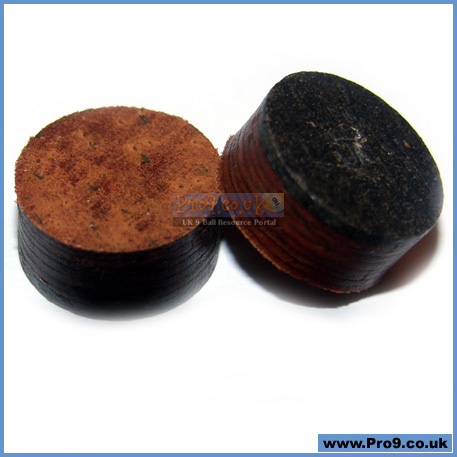 10 GENUINE Tiger Jump tips, vacuum laminated with VACULAM process, the bottom half is laminated for power and the top half for maximum control. We all know one of the key shots to winning is how you break. In addition to break, there are times in the game where you need just as much control for jump shots too. Jump shots are becoming one of the most important shots in todays game. Just making the jump shot is not enough, if you are serious about winning. Tiger Laminated Jump Cue Tip is the difference between making the jump shot or making the jump shot with lot of control. 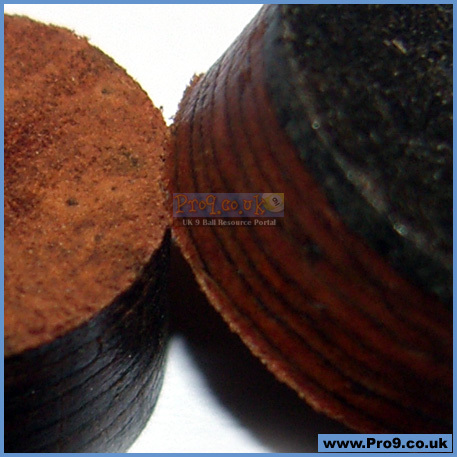 Selected from quality cow & pig hide, this cue tip is made with the same quality as our other line of laminated cue tips. 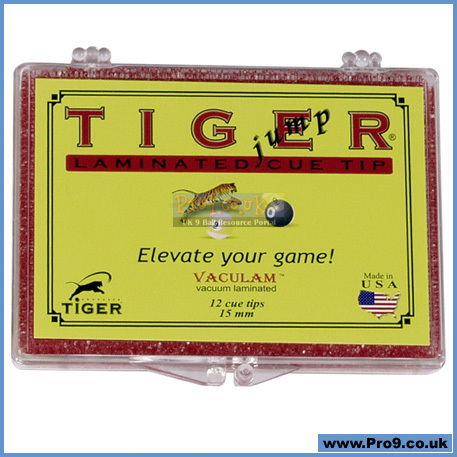 Tiger Laminated Jump Cue Tips, when it really comes down to it all you have to do is just ELEVATE YOUR GAME!